Gambling can be a lot of fun but not if you start losing money. For people that like to experience the thrill of Las Vegas without placing real money as a bet, there are some games offering you this type of gameplay. Because of the popularity of casino games, finding the most realistic and entertaining one can be hard. 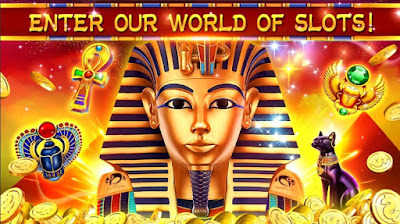 Luckily for you, we searched and discovered an amazing slots game where you can test out your luck and try to win the huge jackpots. Let’s see what the game is all about. Vegas Slot Games is a great choice for all those casino players that don’t like to gamble for real or to lose real money but to only experience the realistic Las Vegas thrill and have fun to win huge jackpots. The game for all these players is filled with free spins specials, big wins and bonus jackpots and the players can even use the auto spin for easy hands-off play. Each player needs to place his bet, spin the slots and try to win the multi-million jackpots.